"We just went from having the time of our lives to the worst night of our lives all within a matter of minutes"
A young Philadelphia woman who survived the Pulse nightclub massacre Sunday said gunman Omar Mateen "wasn’t going to stop killing people until he was killed, until he felt like his message got out there." 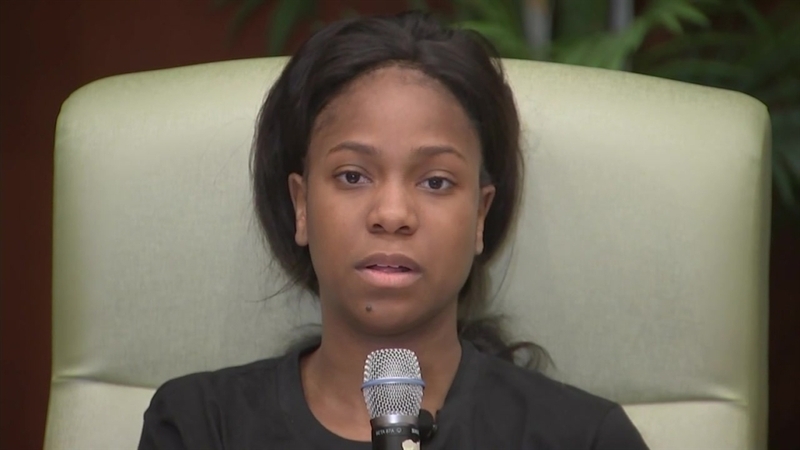 Patience Carter, 20, who graduated from University City High School and attends New York University, was wounded in the Orlando shooting and "laid there for hours and hours" bleeding on a bathroom floor, hoping police would come save her. Carter and another survivor, Angel Santiago, spoke Tuesday afternoon from Florida Hospital in Orlando. 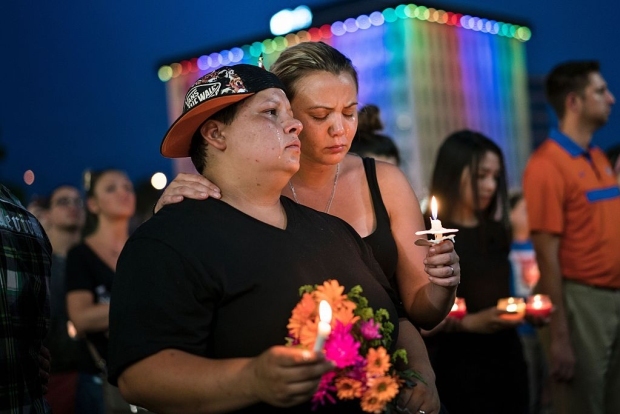 They were among dozens injured in the deadliest mass shooting in U.S. history. At least 49 others were killed, and a handful of survivors remain in "grave condition," officials said. Carter opened with a poem, saying "my healing process is writing." "The guilt of feeling grateful to be alive is heavy," she read. Carter was shot while at the club with two friends, cousins Akyra Murray and Tiara Parker. The three were on vacation together. "We were all having the night we dreamed of, going out on the first night of vacation," Carter said. "We just went from having the time of our lives to the worst night of our lives all within a matter of minutes." She and Murray fled the club as gunfire erupted but ran back inside to look for Parker, who survived. Carter said they became trapped in a women's bathroom as Mateen wandered around shooting and talking on the phone to police. Authorities have said Mateen pledged his support to ISIS during a 911 call. Akyra Murray just graduated from Philly's West Catholic Prep. "People were getting hit by bullets, blood was everywhere and there was a moment when he stopped shooting in the bathroom," she recalled, saying Mateen tried at one point to fix a jammed assault rifle. "The motive was very clear to us who were laying in our own blood and other people’s blood," Carter said. "He wasn’t going to stop killing people until he was killed, until he felt like his message got out there." She said victims were draped over toilets and strewn across the floor. Murray, who turned 18 in January, was among them. She is the youngest confirmed victim in the weekend attack. Carter believed she, too, would die and prayed it would be quick. "[I was] begging God to take the soul out of my body because I didn't want to feel any more pain," she recalled. A bullet shattered her right femur and entered her left leg. Carter remembered being pinned beneath another victim and said she owes her life to someone who blocked her from the spray of bullets. "If it wasn't for that person shielding me, I wouldn't be sitting her today," she said. Finally, it was over. Officers blasted their way into the club and a SWAT team member lifted her from the floor. Carter said she grabbed Murray's cellphone on the way out, hoping she'd have the chance to return it to her friend at the hospital. She never did.